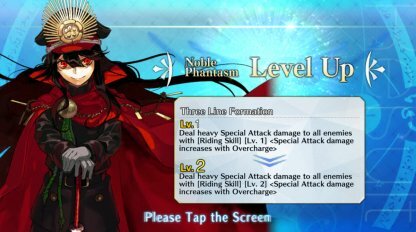 In this post, we are describing how to raise NP levels and the specifications of OC(OverCharge) from FGO(Fate/Grand Order). Feel free to refer to to contents if you would like to know more about the NPs and its specifications. 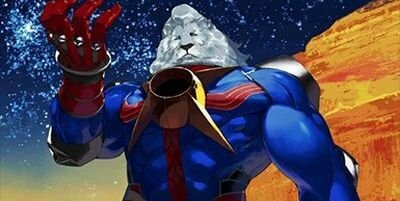 The level of NP is raised by using the same servant with NP enhancement. The maximum NP level is 5 and there is no difference among rarities. As you see in the picture above for the case of Nobunaga, “Lv.2” is indicated immediately after the “heavy Special Attack”. 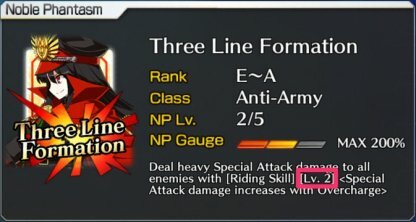 In this case, it means that the “heavy Special Attack” is enhanced due to the level of NP rising. The benefit you receive due to the level of NP rising varies depending on the servants. 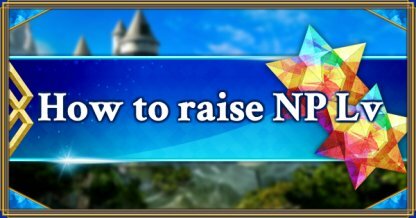 Keep in mind that the effect immediately before that, which has indications such as “Lv.1” changes depending on the level of NP. 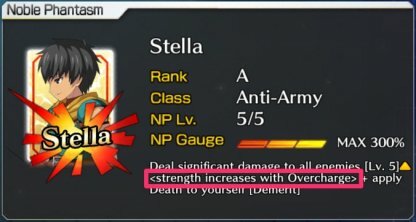 NP OC stands for Noble Phantasm Over-Charge, and means that NP gauge gets charged beyond its limit of 100%. In general, OC becomes possible by raising the level of NPs. Some exceptions are CE or skills that also enable the OC. The benefits of NP OC varies depending on the servants, and the effect indicated immediately before the “<〜 with OverCharge>” becomes enhanced. Upper limit of NP gauge in the event of NP OC is determined by the level of NP. Although it can charge up to 300%, it is actually inefficient to charge the NP gauge to 300% so there wouldn’t be many opportunities for it to be used. 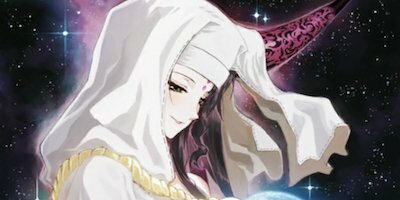 A bonus of NP chain will take place by selecting two or more NP cards. Obviously two servants will be required that have their NP charged. If a NP chain is created, OC bonus is added based on the order of the selected cards. 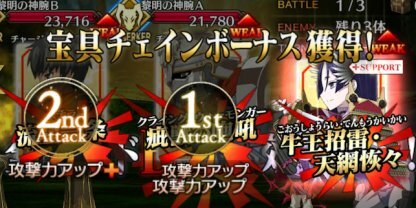 It does not directly increase the damage, but different OC effects will be applied to each NP.